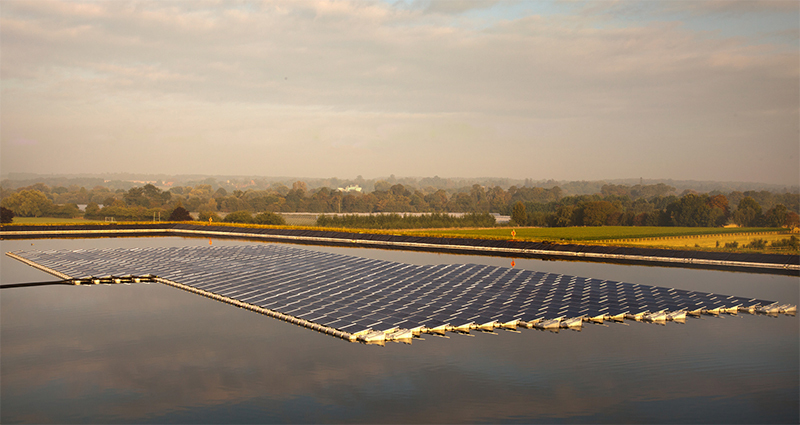 The UK’s first fully operational floating solar panel system has been unveiled on farm in Berkshire. Located at Sheeplands Farm, Berkshire, the pioneering large scale HYDRELIO® Floating Solar PV system is an innovative, reliable and cost effective alternative to ground and roof mountedsolar installations with numerous economical and environmental benefits. The HYDRELIO® Floating Solar PV system was developed by French company Ciel et Terre, who have been involved in innovations in solar panel technology since 2006. Floating Solar Panel UK Ltd is the first official and agreed distributor of the HYDRELIO® technology in the UK and is committed to helping promote the use of renewable energy sources that have a much lower environmental impact than conventional energy technologies, while also helping land owners maximise and unlock the potential of unused bodies of water.